11 December 2012—The best transistors today can switch on and off hundreds of billions of times a second. 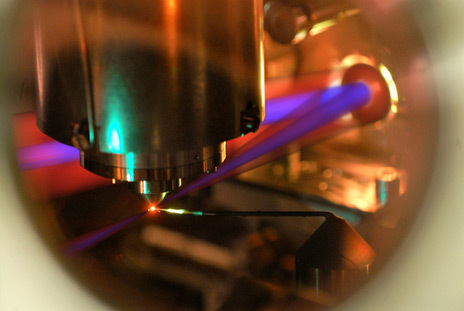 But laser pulses can be more than 10 000 times as quick. Now researchers in Germany have used such ultrashort laser pulses to induce current with the same kind of frequencies—creating an electric switch with laser speed.